Super soft is a creamy pearlescent liquid with a mild cosmetic fragrance. It is an extra mild cleanser designed for staff in nursing homes and hospitals that need to wash their hands on a very frequent basis. It is also suitable for washing the face and all over the body. 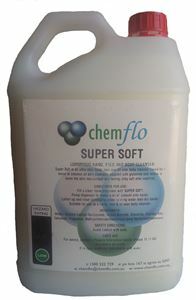 Super Soft is based on a blend of extremely mild cleansers commonly used in baby shampoos and other mild products. The soft cleanser do not degrease the skin, even with frequent washing. Super Soft contains a blend of special moisturisers and emollients to help protect the skin and leave it feeling silky soft.